ZETAMEC will remain closed november the 1st and the 2nd. d) communicating, with your express consent, the data to related companies or third parties to Zetamec Srl Unipersonale, as well as to Zetamec Srl Unipersonale partner companies for processing, in order to provide commercial and/or promotional information, as well as sending advertising material or performing direct sales activities or interactive commercial communications on products, services and other activities of the aforementioned companies, or to carry out market research activities. Data processing for any of the aforementioned purposes will be executed via paper-based, computerised or telematic means, whichever is most suitable for ensuring the security and confidentiality of the processed data. Personal data will be processed mainly using IT equipment. The personal data that you voluntarily disclose to Zetamec Srl Unipersonale, however it is transmitted (completion of online forms, email communication, etc. ), will be stored in a data handling application of Zetamec Srl Unipersonale exclusively for the purposes indicated above, and for the period stipulated by the relevant legislation. For the purposes of this paragraph, Zetamec Srl Unipersonale undertakes to observe specific security measures to prevent the loss of data, their illicit or incorrect use and unauthorised access, in full compliance with the laws and regulations. However, the refusal of the interested party to provide personal data for the purposes referred to in points b), c) or d) will make it impossible for the data controller to send commercial offers and information on the company's activity. 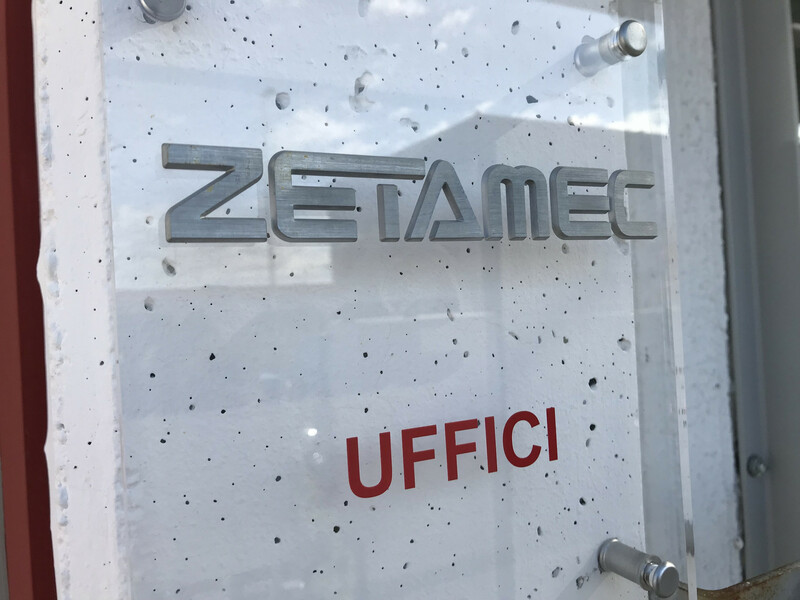 The Controller for the described processing activities is Zetamec Srl Unipersonale, with headquarters in Via Fiorolle 28/30 - 36060 Romano d'Ezzelino (VI) - Italy. Your data may be disclosed to external companies with which Zetamec Srl Unipersonale may consider collaborating, which, in any case, guarantee the adoption of security and confidentiality criteria equivalent to those adopted by Zetamec Srl Unipersonale, and which operate as external data processing bodies. In any case, the interested party remains free, at any time, to revoke consent by sending an informal notice to that effect to Zetamec Srl Unipersonale, at info@zetamec.com. i.e. the elaboration and processing of data by Zetamec Srl Unipersonale for the marketing purposes referred to under point b) of these guidelines, via the foreseen processing methods, i.e. paper-based, via automated and telematic means, by ordinary or electronic mail, telephone and any other computerised means. i.e. the elaboration and processing of data by Zetamec Srl Unipersonale for the purposes of profiling referred to in point c) of these guidelines, relating - by way of example and not exhaustive - to consumption and other habits, behaviour, consultation and use of the website. i.e. the communication of data to companies connected to Zetamec Srl Unipersonale, as well as to partner companies of the same, which will be able to process them for the marketing purposes referred to in point d) of these guidelines, via the foreseen processing methods, i.e. paper-based, via automated and telematic means, by ordinary or electronic mail, telephone and any other computerised means.